Intesis announces its partnership with South Korea Control. 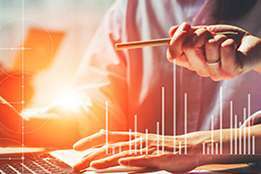 This agreement will allow customers to have unprecedented access to the Intesis solution set for the integration of HVAC systems to major automation systems. 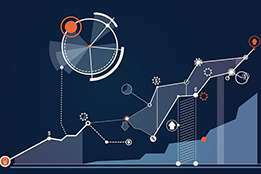 With the outstanding reputation and support capabilities of South Florida Controls, it will increase the sale of smart AC controller products. Tado announced integration with Google Assistant, allowing customers who have both a Tado system and a Google Assistant device to control their Tado system via voice commands. Smart AC controller is an electronic device which can monitor, control and automate the air conditioner’s output/ temperature and heat pump via smart application through smartphone by communicating through Wi-Fi, infrared radiations or Bluetooth. The different components of AC controller system are thermostat, network and monitoring & controlling devices. The thermostat is an electronic component which can sense, control and automate the temperature, whereas, the network consists of the communication of digital signals through different channels such as Wi-Fi, IR and Bluetooth. The monitoring and controlling devices include smartphones, tablets and laptops that are used for real time monitoring and controlling. Factors such as increasing disposable income coupled with evolving lifestyle of the consumers are projected to accelerate the growth of the smart AC controller market with a CAGR of 26.0% during 2018-2025. 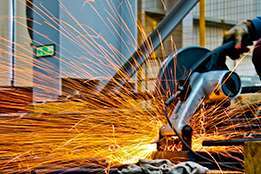 Additionally, rapid economic growth has led to a considerable increase in the size of the middle class and the household incomes resulting in higher disposable incomes. Further, this factor is expected to increase the growth of smart AC controller market by reaching USD 8,770.1 Million by the end of 2025 from USD 1,361.7 Million in 2017. 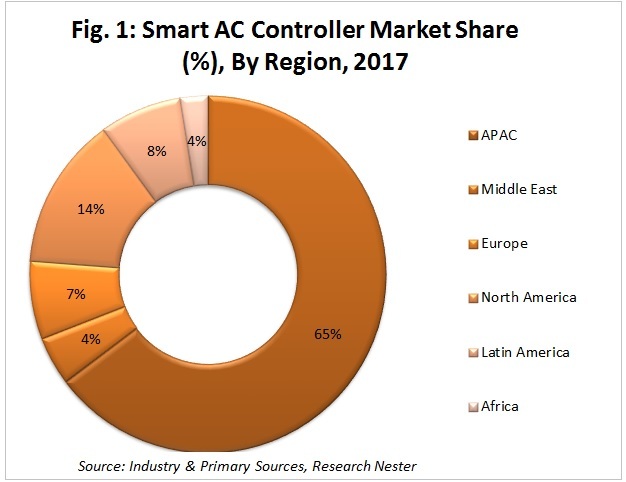 The smart AC controller market is segmented by regions into North America, Latin America, Europe, Asia-Pacific and Middle East and Africa, out of which, North America is expected to boom with notable growth by registering a CAGR of 25.0% over the forecast period. U.S. is the major contributor behind the growth of North America smart AC controller market. 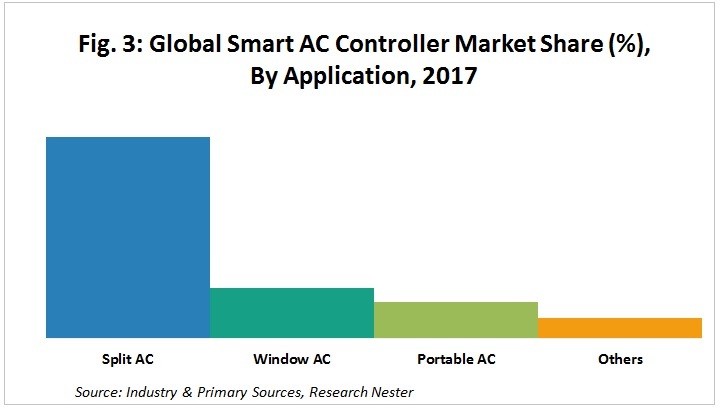 U.S. smart AC controller market accounted for a highest market share of 97.0% in 2017 and further, is expected to behold its dominant stance by the end of 2025. 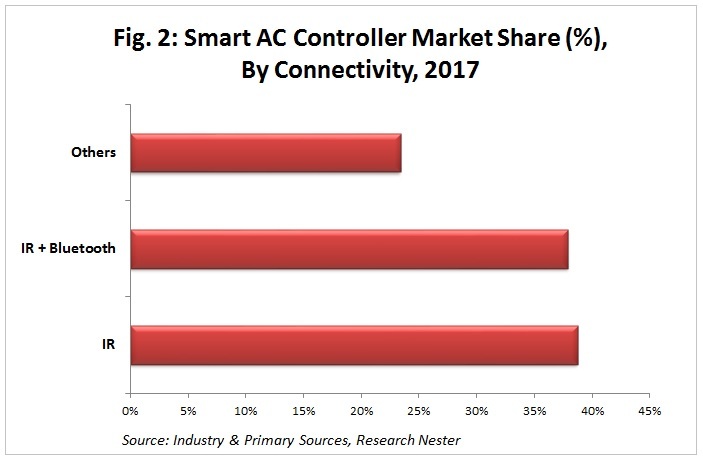 The smart AC controller market has been segmented by connectivity into IR, IR + Bluetooth and others. IR segment accounted for the dominant market share of around 38%, closely trailed by IR + Bluetooth segment during 2017. 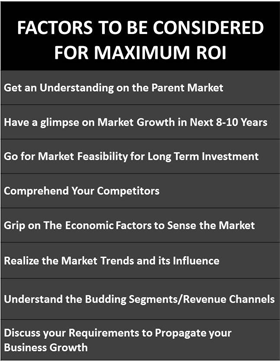 Further, the IR segment is expected to grow at a CAGR of 23.1% over the forecast period. Moreover, the IR smart AC controller segment is expected to achieve Y-o-Y growth rate of 21.7% in 2025 as compared to previous year. The smart AC controller market is segmented by application into split AC, window AC, portable AC and others. The split AC segment in smart AC controller market accounted for the largest share of around 63% during 2017 and is further projected to garner significant market valuation by the end of 2025 by expanding at a CAGR of 25.9% over the forecast period. Moreover, the split AC segment is expected to achieve Y-o-Y growth rate of 24.6% in 2025 as compared to the previous year. 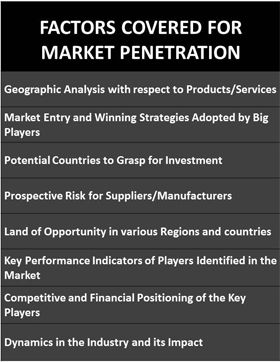 The smart AC controller market is segmented by distribution channel into online and offline stores. Among these segments, the offline segment held the largest market share of around 68% during 2017. In U.S., the offline segment is anticipated to achieve absolute $ opportunity of USD 447.1 Million between 2018 and 2025, whereas the online segment is expected to grow at a highest CAGR of 30.6%, in terms of market value over the forecast period. The smart AC controller market is thriving on the back of rising disposable income coupled with evolving lifestyle of the consumers around the globe. The rapid economic growth has led to a considerable increase in the size of the middle class and the increasing household incomes resulting in higher disposable incomes which has further made the consumers to feel financially stable and confident about both the overall condition of the economy and about their personal financial future which drives them to purchase comfortable and luxurious consumer goods. Additionally, rapid technology advancement coupled with the increasing acceptance of the consumers owing to the useful features of the smart AC controllers that are designed to make household life easier is anticipated to accelerate the growth of the smart ac controller market in near future. 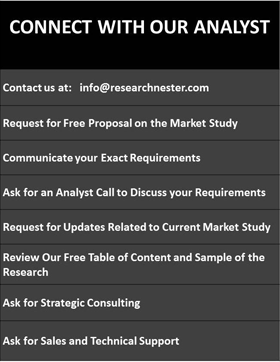 Factors such as presence of cheaper alternatives with less initial manufacturing cost are further anticipated to slow down the growth of the smart AC controller market over the forecast period. Some of the affluent industry leaders in the smart AC controller market are tado° GmbH, Sensibo, Thinkeco Inc., Flair Smart Vent, Ambi Labs, Honeywell International Inc., Nest Labs, LG Electronics, Ecobee, Carrier Corporation and Intesis Software S.L.U. Tado GmbH develops home climate control systems, where the company’s solutions specialize in increasing the operating efficiency of home and apartment climate control systems. It offers connected cooling control via an app or using geo fenced automations that turn the AC on and off as you come and go. Moreover, other key and niche players are working towards the expansion of product portfolio along with investing in high quality R&D to develop highly engineered and innovative technologies in order to gain competitive edge in the smart AC controller market.